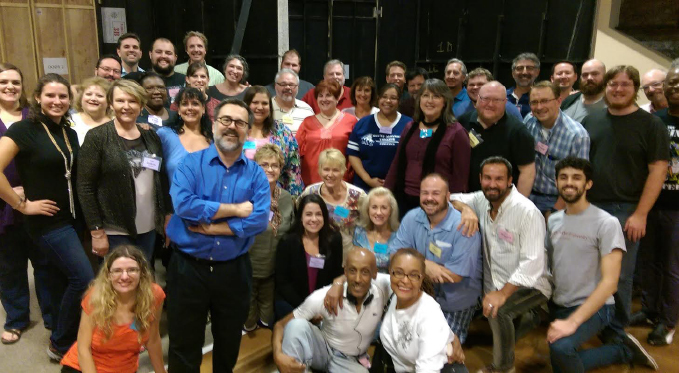 Chorus Master Mark Trawka (in blue, foreground) with members of the Pittsburgh Opera Chorus, backstage at a NABUCCO rehearsal. When a chorus begins rehearsing for a show more than two months before it opens, they must have a prominent role. 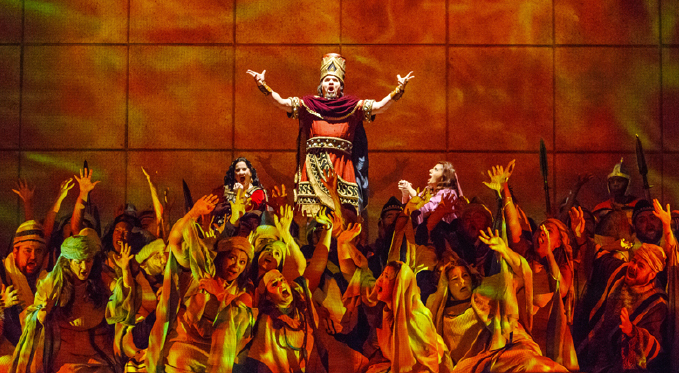 We talked with Pittsburgh Opera Chorus Master Mark Trawka about how he prepared one of the stars of NABUCCO (October 10, 13, 16, and 18, 2015 at the Benedum Center). The chorus has much more to sing than “Va, pensiero.” Talk about the other times they sing and what their dramatic function is at those times. The chorus is on stage at least 75 percent of the opera. They don’t sing the entire time they’re on stage, but they account for at least 50 percent of the sung music in the show. 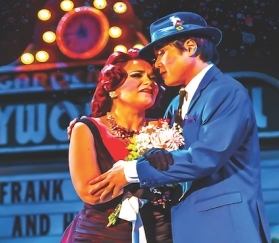 This is a large proportion of the show, compared to other Verdi operas like La traviata and Il trovatore. The NABUCCO chorus is on stage for all but 55 pages of this 240-page opera. There’s a crucial scene where the basses and baritones portray the Hebrew priests in a scene with Ismaele (Raymond Very) where they condemn him. But this is only a few minutes after a scene where most of the men portray priests of Baal and other assorted Babylonians. 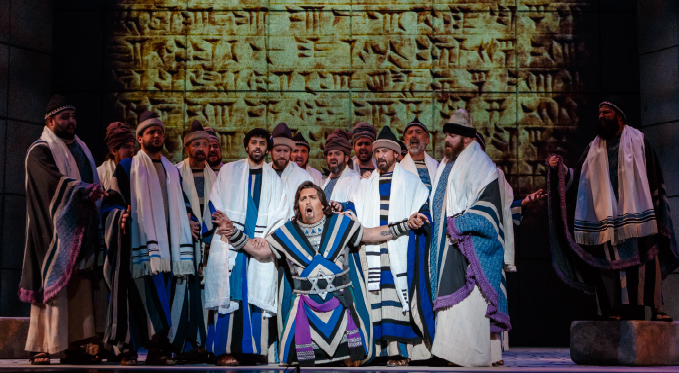 So, while Zaccaria (Oren Gradus) sings a moving aria solo onstage, there are Babylonian chorus basses offstage, changing back into Hebrews so they can yell at Ismaele in the next scene. In later scenes the chorus plays Babylonians who triumphantly salute their Assyrian queen Abigaille (Csilla Boross). Our chorus gets to play the populace of the warring factions alternately, first Hebrews then Babylonians. Then Hebrews… then… you get my drift. Talk about preparing for “Va, pensiero.” Do you prepare this (well-known) part any differently from how you prepare the other chorus segments? Because it’s the most famous part of the opera, and a good portion of it is sung in unison, I delayed working on it until after the second week of rehearsals because it was so much “easier” than other very tricky choral sections – easier only in that it was a known quantity, and most of the chorus had sung it somewhere before. 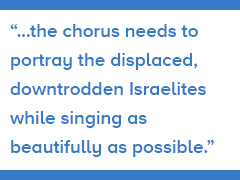 The emotional impact of this chorus is important, and that’s what is difficult about it: the chorus needs to portray the displaced, downtrodden Israelites while singing as beautifully as possible. How did Verdi use the chorus in Nabucco, an early work, vs. how he used it in late work, such as Aida or Otello? NABUCCO’s structure is basically that of a typical bel canto opera: the chorus frames the principals’ music in a predictable way, and they tend to comment on the action like a Greek chorus, or their entrance will sometimes further the plot. They spend a good bit of the opera being Zaccaria’s “groupies” (at least in the Hebrew scenes). After their first emotional outburst of a choral scene, Zaccaria tries to console them with a typical two-part aria. They sing short sections between verses of his aria to enhance the mood and give the solo singer time to catch his breath. This structure is traditional in bel canto, and also very practical. As Verdi matured, this formal tradition sometimes fell away. The size of the chorus is similar to what we use in Aida or Otello – almost 60 choristers. (We had more in Aida because we also had an auxiliary chorus singing the Ethiopian prisoners.) Preparing NABUCCO the season after just doing Otello [November 2014] revealed to me just how expert Verdi became during his long career. While NABUCCO has amazing tunes and awesome epic moments, it’s still a youthful work firmly rooted in the bel canto style from which Verdi emerged. His choral voicing is more challenging to perform than it needs to be. The poor tenors are perched on high notes for a good bit of the show, which can cause fatigue. The women’s chorus, conversely, is not very high; they get tired because they have to sing loudly in their weaker registers, while competing with the tenors in their high registers! The basses’ scene with Ismaele also repeatedly tests their extreme high notes. Fatigue was a primary concern for Maestro [Antony] Walker and me for our chorus. I’m proud of the glorious sound that our chorus makes, but when they’re asked to make so much loud sound for so long in extreme registers, any group can get exhausted. They’ve been real troupers, and have learned to be clever, efficient and expressive. Verdi became wiser as he aged; he wrote for the chorus (and orchestra) with ever greater skill and subtlety. However, the prayer to Jehovah in the last scene of NABUCCO is incredibly moving, and does indeed stand out as a special and effective use of chorus that was never really surpassed by anything he wrote later. 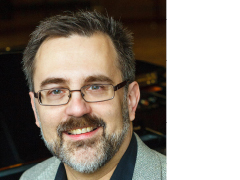 Mark Trawka is Director of Musical Studies and Chorus Master at Pittsburgh Opera. Mark Trawka (foreground) with members of the Pittsburgh Opera Chorus, at a rehearsal for Nabucco. 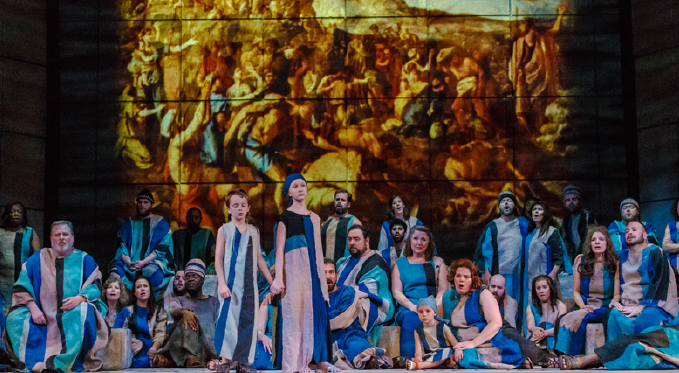 Nabucco (Mark Delavan) orders the destruction of the temple in Jerusalem, to the horror of the Israelites (Pittsburgh Opera Chorus and Supernumeraries). Ismaele (Raymond Very) is reviled by the Israelite priests (Pittsburgh Opera Chorus) for his involvement with Nabucco's daughter Fenena. Pittsburgh Opera Chorus and Supernumeraries in the famous chorus "Va, pensiero."